No apology, no surrender: Chipaumire returns to those words more than once in the late-afternoon session of an advanced technique course that she’s teaching as a guest artist. It’s not mere sloganizing. Instead, like the work that she makes and performs, Chipaumire’s teaching fuses the personal and political aspects of a life shaped by growing up in Zimbabwe. Politically and economically, Chipaumire’s native country is still grappling with the legacy of colonization, as are so many others (even this one). “I’m very interested in this collusion of Europe and Africa,” she told an interviewer before the dance class. 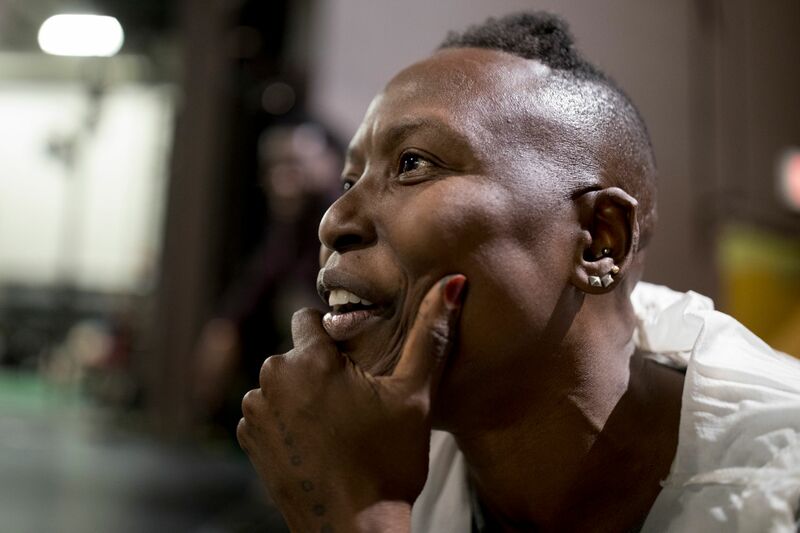 In fact, Chipaumire’s Bates residency comes just weeks after the premiere, in October at New York City’s Kitchen, of a blockbuster piece based on her formative years in Zimbabwe. And now it’s a Wednesday in November at Lewiston’s Bates College, and Chipaumire is facing 25 or so students in the Plavin Dance Studio. They’ll work till around six o’clock, at which point Chipaumire and a handful of students will segue into a rehearsal for a piece she is setting on the students. 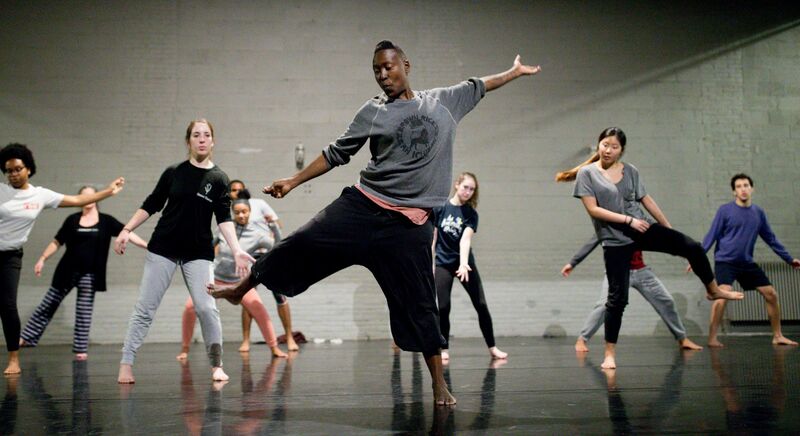 Chipaumire is the fourth and final resident artist this fall to create a piece students will perform in the Marcy Plavin Fall Dance Concert (named, like the studio, for the founder of Bates’ dance program). 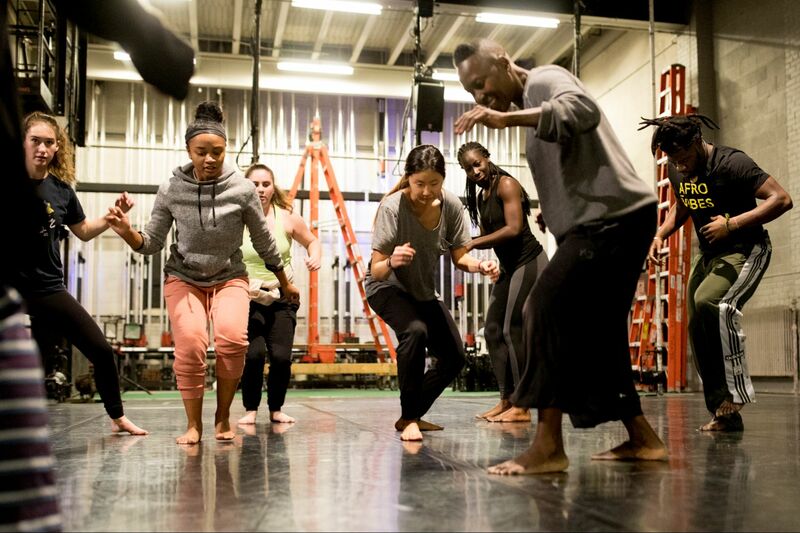 The goal of having resident guest artists in the dance program is to complement faculty teaching with a variety of perspectives, ideas, and teaching styles. But even amongst that variety, Chipaumire stands apart. Based in New York City, she started making dances in 1998. Her work is grounded in personal history and the culture of the Shona, Zimbabwe’s majority indigenous people. More generally she explores stereotypes of Africa and the black performing body, art, and aesthetics. 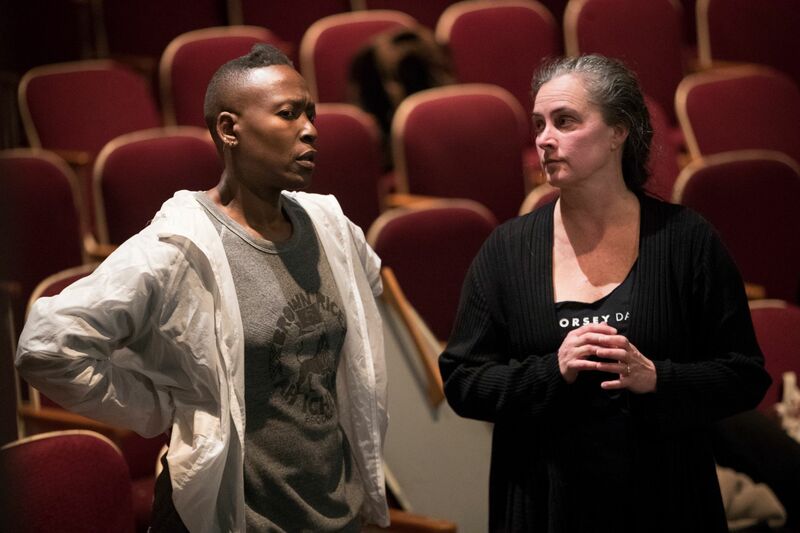 “She has challenged all of us, students and faculty, to probe Western constructs that affect our experiences of our bodies and motion,” says Visiting Assistant Professor of Dance Julie Fox, who has hosted Chipaumire and the other resident artists in the Repertory Styles technique course. 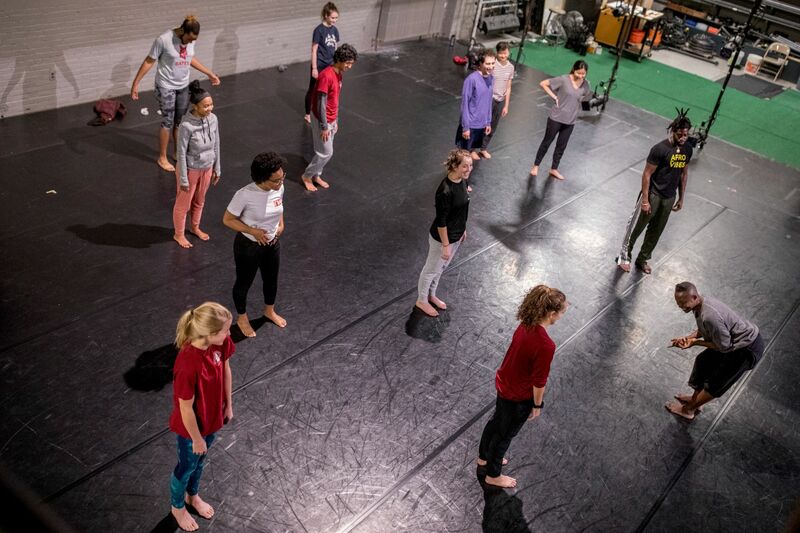 During one session, an undulation movement was frustrating some students, recalls Shae Gwydir ’20, a dance major from Port Jefferson, N.Y. 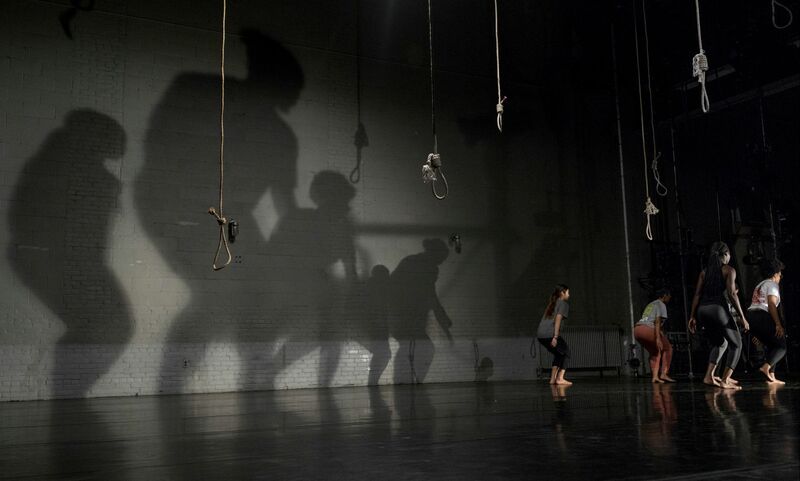 The piece Chipaumire has developed with the Bates students is based “on a figure called Nehanda, who, you could say, was a Zimbabwean Joan of Arc,” Chipaumire explained earlier in the day. Nehanda Charwe Nyakasikana was a 19th-century spirit medium of the Shona people who helped inspire a popular revolt against British colonial occupation. Back in the Plavin Studio, Chipaumire is wearing a down vest over a loose, layered black outfit. From the initial warm-ups to high energy across-the-floor work that ends the session, the class has a definite arc, almost a narrative flow. Given her wit, Chipaumire’s more earnest or spiritual moments, or those that touch traditions that an observer doesn’t understand, first come as a surprise. A recurring theme in the class session was the space around the students and how they should make it theirs. Chipaumire is clear that she is not representing Western dance traditions. “Don’t try the balletic gestures,” she says at one point. “Don’t give me the four o’clock tea fingers,” the extended pinky and ring finger.